Today kicks off Irish week - in preparation for St. Patrick's Day. For this market fresh, we will focus on potatoes with a little cabbage and kale thrown in - it's Irish Colcannon to be exact. I'm offering two recipes for this traditional Irish potato dish - both are vegetarian and both are gluten free. One would work great for a main dish and the other is better as a side dish. Place potatoes in a large saucepan or Dutch oven; cover with water. Bring to a boil. Cover and cook over medium heat until potatoes are almost tender. Add cabbage and onion. Cover and simmer for 5-6 minutes or until cabbage is tender. Drain well. Mash with1 Tb. butter, milk, salt and pepper. Place 1 Tb. of butter on top for serving. Serves about 5. My friend, Jenna, gave me this recipe. I've modified it slightly to our taste. We really love the way that the egg yolk breaks into the potatoes. Delicious! Boil the potatoes until almost tender, add the kale and onion and cook until kale is just tender. 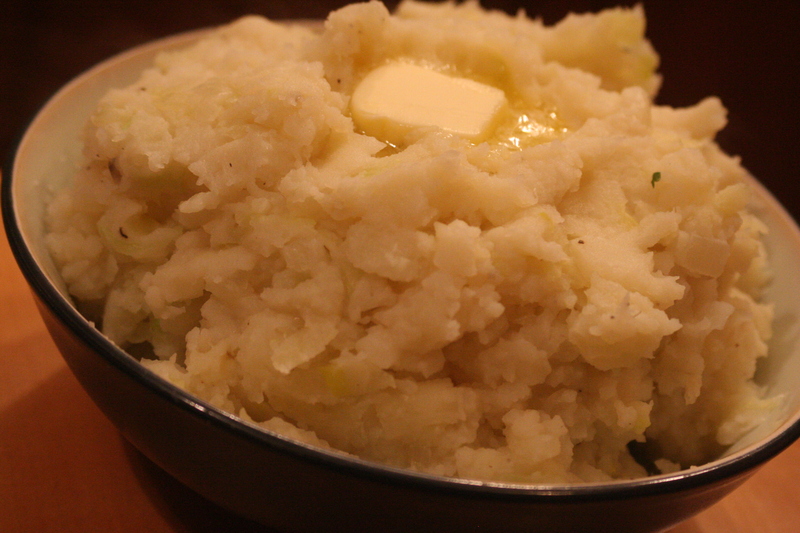 Drain and mash well with butter, milk, and nutmeg. Season to taste with salt and pepper. Spoon the mixture into a shallow ovenproof dish and make four hollows in the mixture. Crack an egg into each and season well. 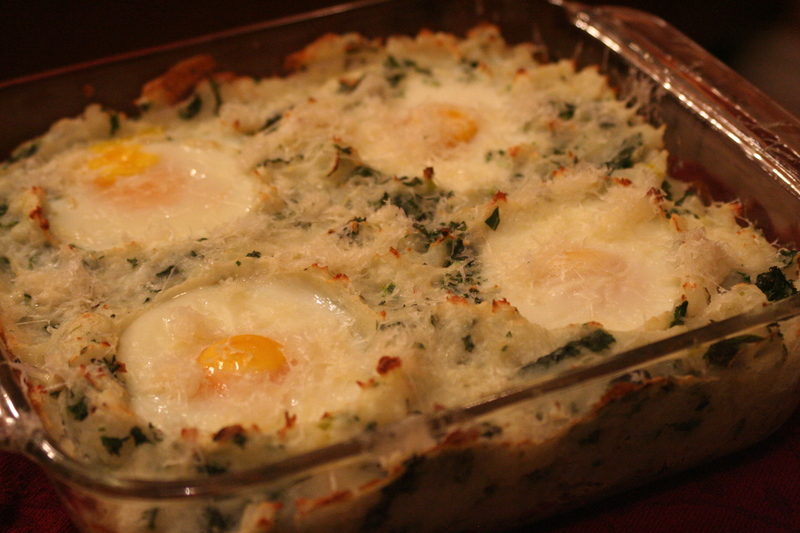 Bake for 15-20 minutes or until the eggs are just set, then serve sprinkled with the parmesan cheese. Wow! This blog looks exactly like my old one! It's on a totally different topic but it has pretty much the same layout and design. Outstanding choice of colors!